I love a good face mask, and I consider myself quite well informed! I tend to chose masks depending on how I want my skin to look. If I want it to look 'glowy' I will choose one which uplifts and brightens my skin, If I want firming I will make sure to use one that's both intensely hydrating but also contain ingredients that will iron out any lines and tighten my skin. 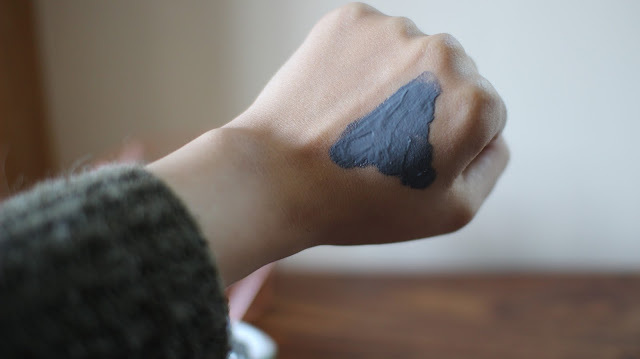 In this instance I wanted something to give my skin a deep cleanse, to purify and provide almost a detox as we are heading into the cooler months. 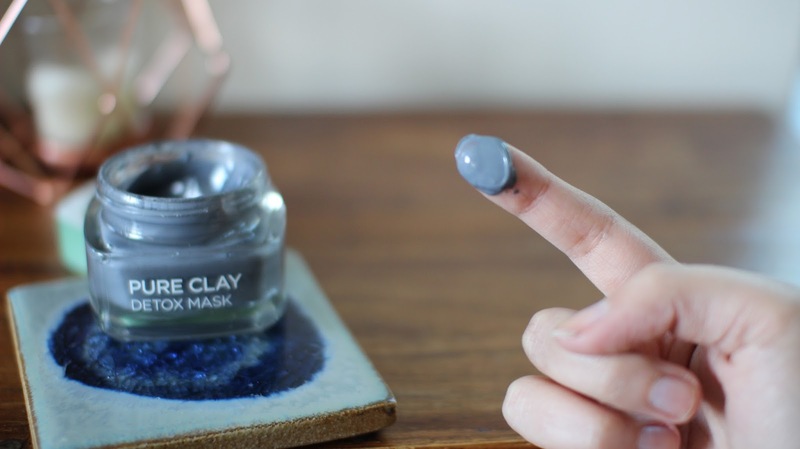 I am a big fan of clay masks in general but I can be quite selective about them. They have to contain the right ingredients,smell pleasant (after all I am spreading it all over my chops) and I also like it to have a nice consistency that's easy to apply. 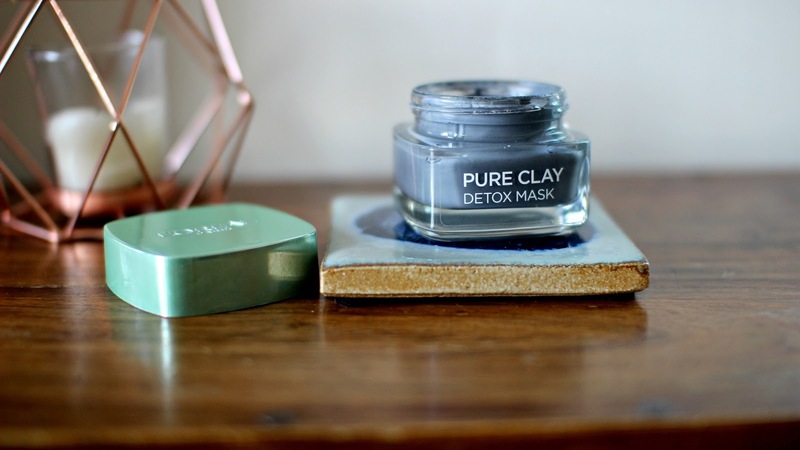 I have recently been obsessing over the relatively new L'oreal Pure Clay Mask, this is a three part range and the other two in the launch tackle other issues but I wanted the clay for that purifying treatment and it did not disappoint. First off the packaging is lovely and looks A lot more expensive than it actually was, its a chunky square jar that lists its benefits and instructions on the front and back. It's very informative yet minimalistic....and I think it is quite hard to nail the two. The consistency is really thick and creamy, its is a very spreadable texture that allows you to apply it really easily and evenly. 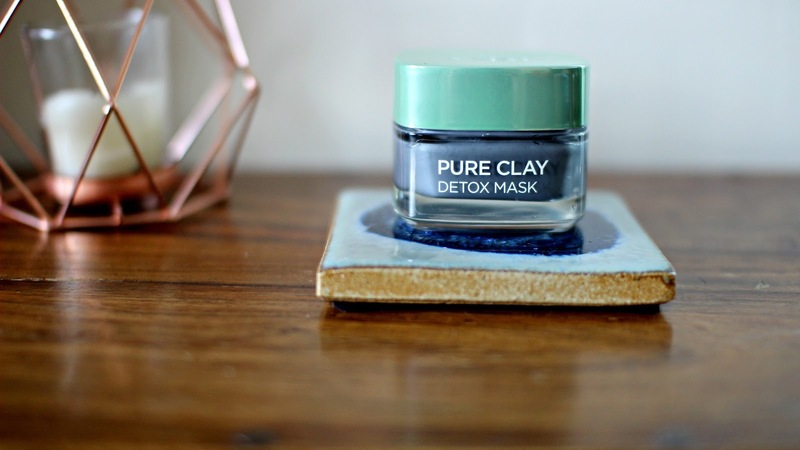 The scent is also really fresh and clean, sometimes with deep cleanse clay masks the scent can be quite earthy (which I actually don't mind) but this mask smells really uplifting and fresh making it ideal for day and night use. It is fine to use on all skin types but it is more prone to purify so it's better suited to acne prone or oily skin that may need a deeper detox. I don't suffer from acne I get the odd blemish but nothing that would need targeting but I notice that after using this mask my skin looks a lot fresher and cleaner. It also gets rid of skin bumps and blackheads too which leaves the skin looking and feeling much clearer and far less congested. The mask dries very quickly but not too quick that you can't spread it evenly, it is a very cold mask which actually cools the skin helping with any redness and helps to balance the skin. It is also very easy to remove. I just use a hot muslin cloth and wipe it away after 10-15 minutes. Once removed my skin feels tighter and looks much brighter. It really does extract any excess oil and keep blemishes at bay, it is also a very calming mask that doesn't irritate the skin or leave it angry or red. 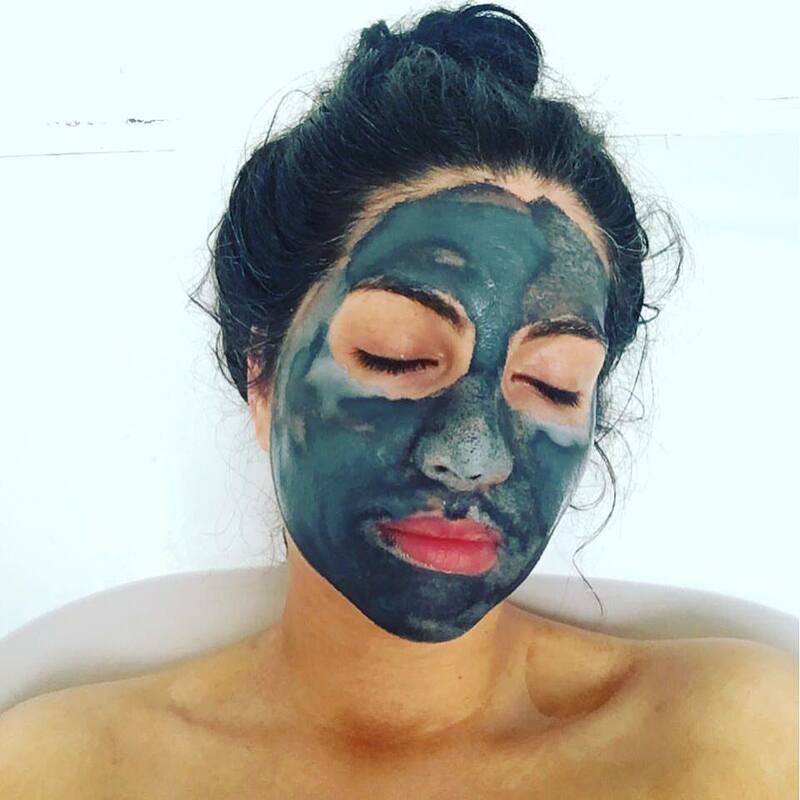 This mask is a joy to use and the results are amazing, it cleanses my pores,minimises spots and redness and leaves my skin feeling oil controlled and bright....I don't feel like you can ask for more from a £5-£8 mask. Even though I have dry skin, I love the sound of this. You can't beat a good detox.